Neopolitans are direct descendants of the Molossus, a type of Mastiff used in Roman Colosseums. They were used as war, police, and guard dogs. Although this breed existed in southern Italy since Roman times, they were first present at a Naples dog show in 1946. The painter and journalists, Piero Scanziani, was so impressed with them that he started his own kennel. He is considered the modern father of the breed. The first Neo was thought to have come to the United States in 1973, and they have grown in popularity ever since. First and foremost, you must start training and socializating early with this breed, as they can be suspicious of strangers, aggressive towards other dogs, possessive of their owner and home, and can inflict massive damage in a heartbeat, although rarely without a reason. Having said all that, with proper training and socialization these dogs make wonderful companions. They are steady and solid and are more of a guardian than an attack dog. They may look a bit intimidating but in actuality they can be affectionate, calm, peaceful, loving, courageous, and mild-mannered. Neos are very intelligent and are very keen to their owner’s commands. They are usually quiet and only bark when necessary. These dogs are known to be very loving with children. 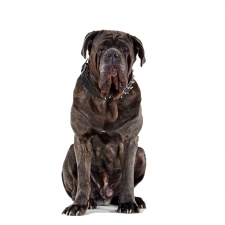 When a Neopolitan Mastiff has a dominant owner who understands them and is capable of controlling them properly, they make excellent family pets. 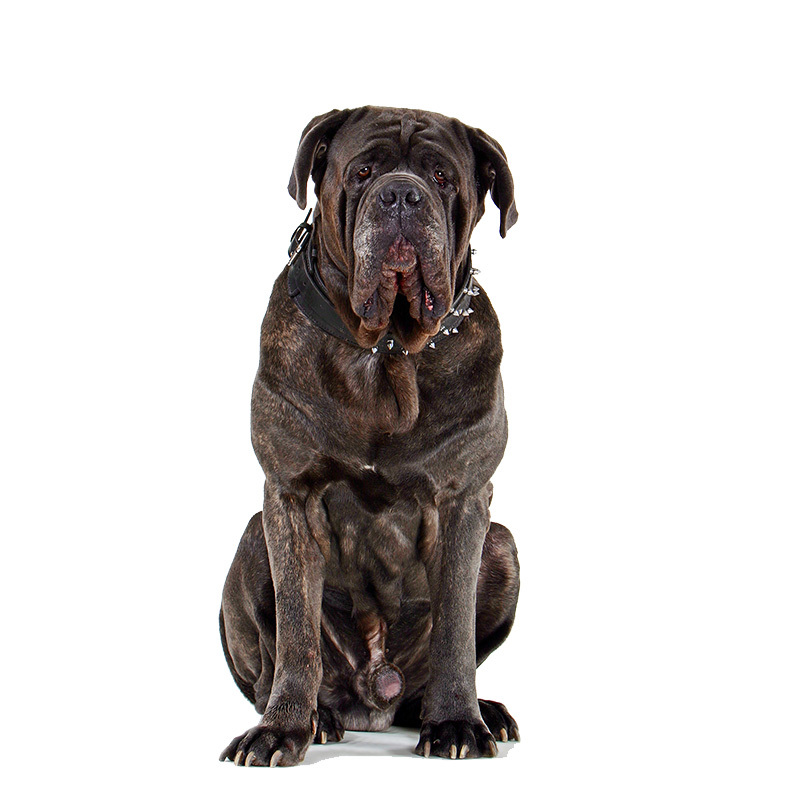 Neopolitan Mastiffs usually weigh between 110 to 155 pounds and stand approximately 23 to 29 inches tall. They are a large dog with a massive, heavily-muscled body. They have a short coat that ranges in color from black to brindle to fawn. Neos drool A LOT and tend to be messy eaters. You might want to feed them outside; however, they are not outdoor dogs. They can die from heatstroke if left out in the sun. Neos crave the companionship of their family and if denied it, can suffer from separation anxiety.